"A lively island located in between both Dubrovnik and Split ports, perfect for holiday-makers seeking a lively atmosphere with plenty of attractions..."
Hvar Island is one of Croatia’s most popular tourist destinations: perched in the turquoise waters of the Adriatic, it is flanked by the smaller Pakleni islands. 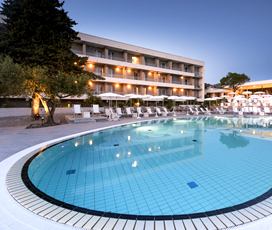 Hvar Town, the island’s most popular area draws over 20,000 people per day during peak seasons, so if you’re looking for a beautiful resort with a lively atmosphere, make Hvar Island your next holiday destination. The town is the perfect blend of modernity and history, with 13th century streets that meander through the city and a buzzing nightlife that is famous for being the best in all Croatia. This when combined with its stunning selection of sandy beaches, host of excellent restaurants and surprisingly rich history, make Hvar a destination that everyone will enjoy. It is especially good for young people, with many parties lasting from dusk until dawn. The Croatian Island is located in the sapphire blue Adriatic Sea. It is famous for its port town, which is also known as Hvar, replete with 13th century walls and a large hilltop fortress, giving the island a rustic feel. 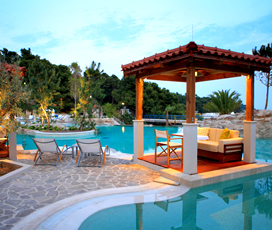 It is now a summer resort and features a plethora of beautiful beaches, with secluded coves and stunning waters. The island itself is medium-sized encompassing an area of around 300 kilometres with a population of just over 10,000. Defined by mild winters and warm summers, Hvar allows visitors to swim between May and late October. 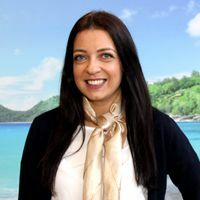 The best time to visit is during the months of June, July and August, when the temperature regularly sits above 25 degrees and the gorgeous seas around the island are warm. The Spring and Autumn are also excellent times to visit, when Hvar is slightly less busy, and you can enjoy beaches with slightly fewer people on them. The history of Hvar begins when it was colonised by the Greeks in 384 BC; they built a number of settlements, which thrived, leading to its conquest by the Romans 100 years later. The island then flip-flopped between various rulers, before the Venetians took control of it in the 11th century. They used it as a base to refuel their ships, although there was some degree of resistance, with as many as 6000 Croatian’s rebelling against their rule in 1510, however this rebellion was put down. It fell under Austrian rule when the Venetian Empire collapsed in 1797, before becoming a part of the newly formed Yugoslavia in 1922. Well-known for the quality of its seafood, try the local dish ‘Gregada’, a delicious fresh fish stew, made using lobster or sea snails. This along with traditional Croatian dishes like black risotto and scampi, ensures that fish lovers are bound to find something that they enjoy. Another local delicacy is the goats cheese stuffed lamb steak, which delivers salty flavours that will excite and delight your senses. There are plenty of family activities in Hvar. The glass bottomed, semi-submarine ride that departs from Hvar harbour, is the ideal way to explore the gorgeous waters that surround the island on your family holiday. Hvar is famous for its many stunning beaches, with the best family ones, including Mina and Greisce, known for the soft sand and shallow waters. The Gariful Farm offers free entrance to everyone and is the perfect way for children to explore some of the wonderful plants and animals that call the island home. 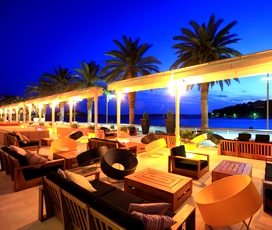 There is a myriad of great things to do on Hvar, ensuring that everyone has a wonderful time during their stay. 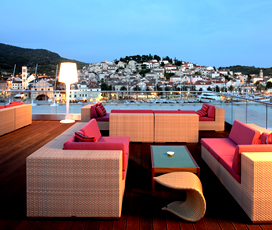 Hvar Old Town and Castle is a great place to start, providing spectacular views over the harbour and sea area. Further afield lie places like the Blue Grotto and Pakleni Islands, where visitors can explore some unspoiled nature and see more shades of blue than they imagined possible. Hvar also has a great selection of beaches, where visitors can kick back and enjoy the Adriatic Sea, if a beach holiday is what you are looking for. Renowned for being the place in Croatia that never sleeps, it is the perfect destination for young people interested in going out. There are a plethora of clubs and fashionable bars on offer in its picturesque streets, along with some party events on the beaches that are close to it. There are also plenty of quieter restaurants and cafes for those who want to sit and talk with friends and family, ensuring that there is something for everyone on the island.